We're an award-winning consultancy, passionate about helping organisations adapt and thrive in the ever-changing digital landscape. 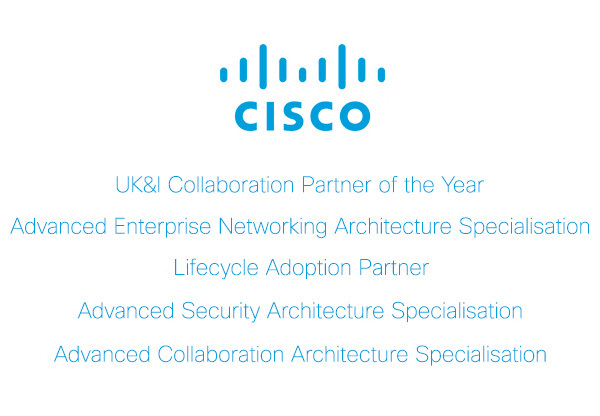 We work in close partnership with you, to deliver success through Cisco’s world-leading technology solutions. Tools that empower your people to engage and innovate through Cisco Webex, Meetings, Teams, Calling, and Devices. Bridge the gap between business and IT through Intuitive Networking solutions, built on Cisco DNA. Enable your business to protect productivity gains, and reduce network operating costs, with the most robust and unique set of end-to-end security solutions in the market. ITGL explored our requirements, and clearly defined the right way forward, thankfully demonstrating an in depth understanding of the technology and its business benefits.